Corey A. Wulf, MD, provides specialty care in Orthopedic Sports Medicine. Dr. Wulf performs arthroscopic surgery of the shoulder and knee such as shoulder instability, rotator cuff tears, meniscus tears, ACL tears. Dr. Wulf also provides care for athletic hip injuries. 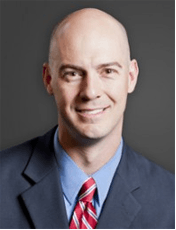 Dr. Wulf has an interest in multi-ligament knee reconstruction and cartilage transplant. Dr. Wulf also provides general orthopedic services which includes fracture care and joint replacement surgery. Poster Presentation: Corey Wulf, MD, Rebecca Stone, MS, ATC, M. Russell Giveans, PhD, Gregory N. Lervick, MD. Magnetic Resonance Imaging after Arthroscopic Microfracture of Capitellar Osteochondritis Dissecans. AAOS Annual Meeting. New Orleans, LA 2010. ACL Reconstruction in Patients 50 years and older. AAOS Annual Meeting, San Francisco, CA 2008. Dorsal Wrist Capsulodesis versus Brunelli Repair for Scapho-Lunate Dissociation, American Society of Surgery on Hand, San Antonio, Texas 2005. Effect of Palm Olein Containing Formula on Bone Density, American Society of Bone and Mineral Research, St. Louis, Missouri 1999. Perspectives on Evaluation, Reconstruction and Therapy of Multi-Ligament. Sports Medicine Grand Rounds, Edina, MN. September 10, 2014. Knee Articular Cartilage Restoration. Current Concepts in Sports Medicine: Edina, MN. April 4, 2014. Knee, multiligament. Complicated Cases for the Fellowship. February 12, 2014. Research- Oriented Sports Medicine. Sports Medicine Grand Rounds, Edina, MN. April 24, 2013. Overuse Injuries. Twin Cities Orthopedics Sports Medicine Conference (TCO). Edina, MN. February 27, 2013. Patellar Tendon: Tendinopathy to Tears. Fairview Sports and Orthopedic Care Sports Medicine Grand Rounds. Edina, MN. September 12, 2012. Lower Extremity Sports Medicine Research Platforms Current Concepts in Sports Medicine: The Wide World of Sports Medicine: The Olympic Athlete. Edina, MN. April 13, 2012. Meniscal Preservation and Performance Current Concepts in Sports Medicine: The Wide World of Sports Medicine: The Olympic Athlete. Edina, MN. April 13, 2012. Wulf, C. FAI: The Basics. Minnesota Sports Medicine Grand Rounds, Minneapolis, MN. March 4, 2009. Wulf, C. ------ Minnesota Sports Medicine Grand Rounds, Minneapolis, MN. October 22, 2008. Wulf, C. Extraarticular Injuries about the Knee in Skeletally Immature Athletes Minnesota Sports Medicine Grand Rounds, Minneapolis, MN. October 1, 2008. Wulf CA, Stone RM, Giveans MR, Lervick GN. Magnetic Resonance Imaging after Arthroscopic Microfracture of Capitellar Osteochondritis Dissecans (OCD). Am J Sports Med. Nov 2012;40(11):2549-2556. Larson, CM, Wulf, CA. Intra-operative Fluoroscopy for Evaluation of Bony Resection during Arthroscopic Management of Femoroacetabular Impingement in the Supine. Arthroscopy: The Journal of Arthroscopic and Related Surgery. Oct 2009; 25(10): 1183-1192. Larson, CM, Giveans, MR, Wulf, CA. Effect of Osteoarthritis on Outcomes after Arthroscopic Management of Femoroacetabular Impingement The Journal Minerva Ortopedica E Traumatologica. August 2009; 60(4):285-291. Moran SL, Ford KS, Wulf CA, Cooney WP. Outcomes of Dorsal Capsulodesis and Tenodesis for Treatment of Scapholunate Instability. J Hand Surg Am 2006 Nov;31(9):1438-1446. Dahm DL, Wulf CA, Dajani KA, Dobbs RE, Levy BA, Stuart MA. Reconstruction of the anterior cruciate ligament in patients over 50 years. J Bone Joint Surg Br 2008;90(11):1446-50. Wulf CA, Ackerman DB, Rizzo M. Contemporary Evaluation and Treatment of Distal Radius Fractures. Hand Clinics. 2007 May;23(2):209-226. Aanning HL, Haas T, Jorgensen DR, Wulf CA. Square Not a Running Knot J Am Coll Surg. 2007 Mar;204(3):422-425. Larson CM, Wulf CA. Hip Arthroscopy: The Supine Position: In: Johnson: Operative Arthroscopy 4th Edition. Lippincott Williams & Wilkins. 2013 Chapter 46:506-519. Larson CM, Stone RM, Wulf CA. Management of Chondral Lesions. In: Byrd. Operative Hip Arthroscopy, 3rd Edition. Springer, New York, NY. 2013: Chapter 14:185-196. Wulf CA, Larson CM. Chondral Lesions. In: Ryu RKN, Byrd, JWT, Guanche CA. 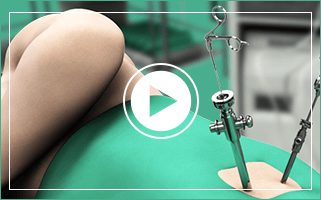 AANA Advanced Arthroscopy series: The Hip. AANA. Rosemount, IL. Elsevier 2010:33-50. LaPrade, RF., Wulf , CA. Acromioclavicular separations: soft tissue (Weaver Dunn or allograft) techniques AANA Advanced Arthroscopy series. Elsevier 2009.